Know someone else who would make a great host? Refer them to us and receive a referral bonus! host family that lists you as their source of referral on their application. Hear what other people are saying about hosting with Cambridge Network! We have truly enjoyed welcoming our girls into our home. They have become family and I know we will have a relationship that will continue far beyond their time with us. Our children have learned what it means to love others, to be good hosts, and they have grown to love and respect another culture. We wouldn't trade our time with these beautiful girls for anything. Have questions about becoming a host family? 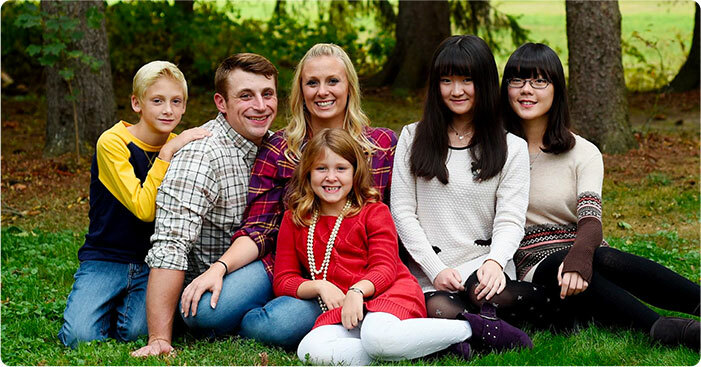 Stay up to date on what we're doing and learn more about hosting an international student including success stories, recipes and how to relieve culture shock. If you're already a Cambridge Network approved host family, make sure to sign up for our Host Family Portal where you can update and personalize your hosting profile, view network schools within your area and upload photos of your family and household for potential students to see.